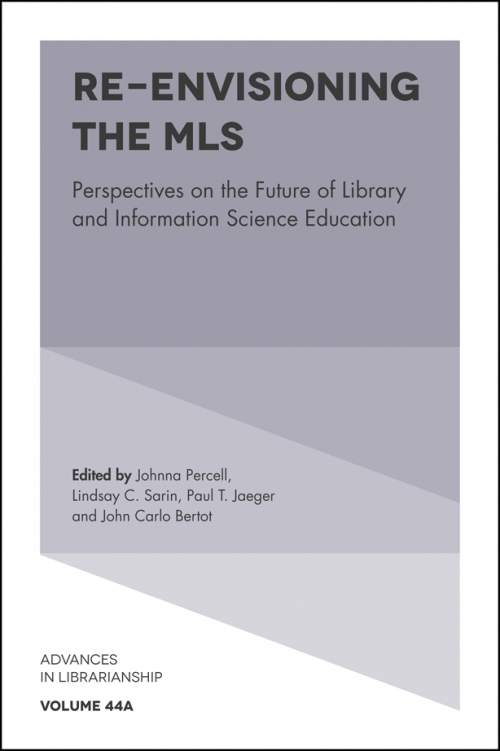 At the heart of any discussion about the future of libraries is the future of librarians—and how well our instructional programs, especially the Master of Library Science (MLS) degree, prepare them for their careers. 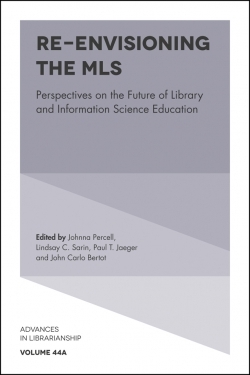 Building on the Re-envisioning the MLS initiative from the University of Maryland’s iSchool and the Information Policy & Access Center (iPAC), this book continues the critical conversations around preparing future librarians. 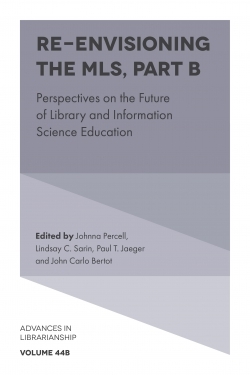 Library and information science (LIS) programs are the foundation of librarianship, and their design requires input from everyone in the field—from academics designing programs and courses, to practitioners reflecting on how prepared (or unprepared) they are to serve their communities, to hiring authorities considering qualifications of candidates. how best to prepare librarians for their role as educators. These conversations will never be fully resolved, as LIS education must continue to evolve to ensure the efficacy of libraries and the librarians at the heart of the work. Johnna Percell: Children's Librarian for the DC Public Library's Department of Outreach & Inclusion. Prior to joining DCPL, she was the Communication Coordinator for the University of Maryland's iSchool where she earned her MLS with a focus in Information and Diverse Populations. As a student she had the opportunity to work with Dr. John Bertot and Lindsay Sarin on the Re-Envisioning the MLS Initiative. Johnna is on the editorial board of the International Journal of Information, Diversity, and Inclusion, and she was a founding member of The Political Librarian, EveryLibrary’s open access journal, and is currently in charge of the editing, design, and layout. She has a background in community corrections and served as the 2015 Google Policy Fellow at the American Library Association's Washington Office. Lindsay C. Sarin: Director of Academic Programs at the College of Information Studies University of Maryland, College Park. She was formerly the MLS Program Manager in the same program. She helped lead the Re-Envisioning the MLS Initiative along with Dr. John Bertot and Johnna Percell. She continues to participate in the project with current program staff and faculty. 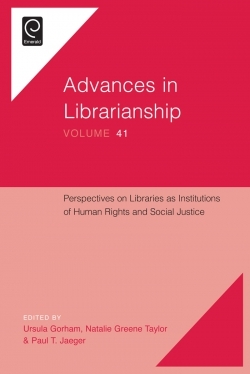 Lindsay has published on the topic of LIS education and on advocacy and funding of libraries, including the book Public Libraries, Public Policies, and Political Processes (2014). As part of her focus on advocacy and funding in libraries she serves as an advisor to EveryLibrary and was the founding editor of The Political Librarian, an open-access journal dedicated to expanding the discussion of, promoting research on, and helping to re-envision locally focused advocacy, policy, and funding issues for libraries. Lindsay earned her BS in history and English from Eastern Michigan University and her MLS at the University of Maryland, College Park. Paul T. Jaeger: Professor, Diversity & Inclusion Officer, and Director of the Master of Library and Information Science (MLIS) program of the College of Information Studies and Co-Director of the Information Policy and Access Center (iPAC) at the University of Maryland. His teaching and research focus on the ways in which law and public policy shape information behavior, with a specific focus on issues of human rights and social justice. He is the author of more than 170 journal articles and book chapters, as well as more than a dozen books. His research has been funded by the Institute of Museum & Library Services, the National Science Foundation, the American Library Association, the Smithsonian Institution, and the Bill & Melinda Gates Foundation, among others. Dr. Jaeger is Editor of Library Quarterly, Editor of Advances in Librarianship, and Associate Editor of the International Journal of Information, Diversity, & Inclusion. He is founder and chair of the Conference on Inclusion and Diversity in Library and Information Science (CIDLIS), and co-founder and co-chair of the UMD Disability Summit. 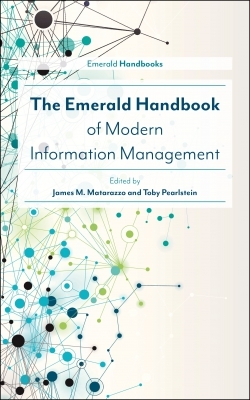 In 2014, he received the Library Journal/ALISE Excellence in Education Award, the international educator of the year award for the field of library and information science. John Carlo Bertot: Associate Provost for Faculty Affairs and Professor in the iSchool at the University of Maryland. Prior to becoming Associate Provost, Bertot served as Director of the Master of Library Science (now Master of Library and Information Science) degree program in the iSchool when the Re-Envisioning the MLS initiative was launched to rethink librarian education in general, and Maryland’s program in particular. Bertot’s research focuses on information access and dissemination issues—the policies that govern access and dissemination, the media through which access and dissemination are provided, the ability of information users to engage with information content to meet their needs, and the ability of organizations (particularly public libraries and government institutions) to understand access and dissemination issues from both a management and user perspective—all within a public service innovation and evaluative framework.